NuSkin, a premier anti-aging company, identified an opportunity to extend the reach of their beauty portfolio by developing a dispensing device for their core product range. However this required them to move into unfamiliar technology territory, so they looked for an external innovation network to help with the product development and launch. Sagentia was selected as a key partner in this network, focusing on realizing the underlying science and technology in a fast and effective way. Following qualitative consumer research in the US and Asia, NuSkin identified a market opportunity in the delivery of personalized skin care topical formulations. NuSkin set the brief for a novel, user-friendly product to deliver a tailored morning and night time dose of skin care topical formulation. They selected Sagentia as development partner due to our deep understanding of pump technologies, microfluidics and cosmetic dispensing/rheology. Sagentia delivered the solution for a device and consumable from concept creation and proof of principle through to transfer to manufacture. Our team managed all aspects of the development phase of work, including mechanical and software design, tooling and electronic engineering. The first phase of work was to investigate the technical feasibility for a novel skin care device that treats and cleanses skin at the same time and then to develop models to test the function of the device. Following positive feedback at user trials, we then refined the concepts into proof of principle demonstrators to allow us to evaluate them against key criteria such as performance, efficiency, noise and cost. Using these findings we refined the concepts further and undertook detailed electromechanical design to optimize and explore different options for the form and industrial design. Once the hardware design was finalized we undertook full prototype development and worked with the identified contract manufacturer to take the product into production tooling and full manufacture. The Sagentia team developed a device that delivers on NuSkin’s vision of a more tailored experience for consumers and provides a new platform that encourages repeat purchasing of NuSkin’s formulation products, helping to drive growth for their business. 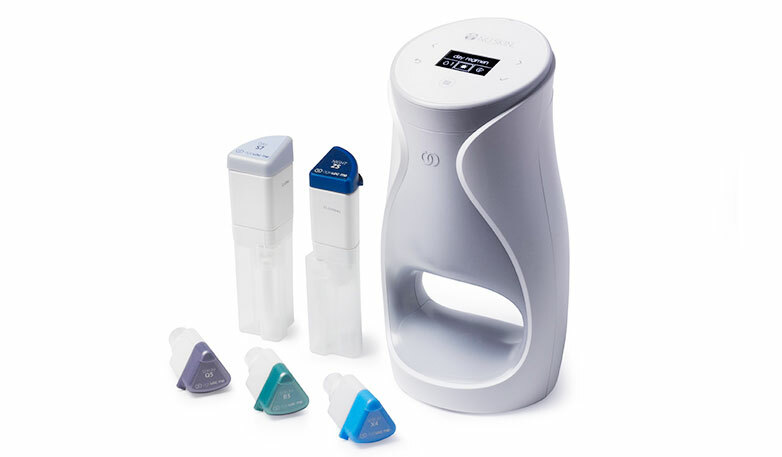 Read how we helped NuSkin develop a dispensing device for their core product range.